Today, Fortune magazine released its annual “50 Most Powerful Women in Business” and, as usual, it had its share of tech execs on the list. 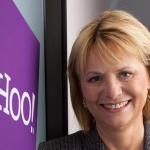 And off it, too — first and foremost being ousted Yahoo CEO Carol Bartz, who was jacked completely from her 2010 No. 10 rank. She was No. 8 in 2009. 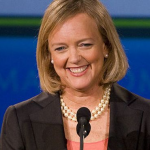 In her place: Newly designated Hewlett-Packard CEO and former eBay CEO Meg Whitman grabbed the No. 9 spot. Also on the list: fast-rising IBM sales, marketing and strategy exec Ginni Rometty at No. 7; Xerox CEO Ursula Burns at No. 8; Oracle President and CFO Safra Catz at No. 11; Facebook COO Sheryl Sandberg at No. 12; Google execs Susan Wojcicki and Marissa Mayer at No. 28 and No. 38, respectively; IBM North America GM Bridget Van Kralingen at No. 39; and Best Buy Americas President Shari Ballard. Catz was the highest paid of the group, with $42.1 million in total 2010 compensation. And also taken off this year: 2010 No. 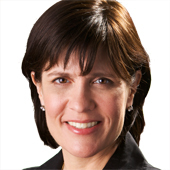 14, HP’s Ann Livermore, who left her top job there, but still is on the tech giant’s board; 2010 No. 28 Cathie Lesjak, CFO of HP; 2010 No. 44 Lorrie Norrington, a former president at eBay; and Apple’s communications head Katie Cotton (she was robbed! ), who was No. 50 in 2010. Whitman is scheduled to speak at the conference in the afternoon on Tuesday, October 4.